Oded Brenner, founder of Max Brenner, Chocolate by the Bald Man, has opened Blue Stripes, a café that serves food and hot chocolate all day. Look for chocolate oatmeal for breakfast and a tartine with Brie, beets and pecans for lunch, plus chocolate pizza and fondue with ice cream lollies and lemony donuts for dipping. Open daily. Blue Stripes, 28 E. 13th St., New York, NY 10003, 917-265-8737. The owners of Her Name is Han are the team behind Nonono, a yakitori spot in NoMad. Chicken skewers include thigh, wings, skin, knee cartilage, heart and neck meat. The kitchen also cooks up non-yakitori dishes like sushi rolls and cream curry udon. Dinner nightly. Nonono, 118 Madison Ave., New York, NY 10016, 646-707-3227. Claire Chan, owner of The Elk, has opened an all-day café in Williamsburg. Bar Beau serves coffee and pastries from Bien Cuit and Ovenly during the day. By night, small plates will be made with Japanese ingredients, like udon noodles with shiso pesto, lemon and Grana Padano. Bar Beau, 61 Withers St., Brooklyn, NY 11211, 917-909-1960. The Nilsson Schmilsson with gin, yuzu, lime, vanilla and coconut, and the Flying Fox with rum, mezcal, lime, pineapple and cinnamon are two of the cocktails on offer at The Hidden Pearl, the secret 18-seat cocktail bar in the back of Wanpaku Ramen. The menu's small plates take their inspiration from Okinawa, Japan. The owners also operate the Donna Cocktail Club and Kuu. The Hidden Pearl, 621 Manhattan Ave., Brooklyn, NY 11222, 718-383-3291. Gitano is a 24,000-square-foot seasonal outdoor restaurant and cocktail bar that’s packed with palm trees. Its decks for dining and imposing square bar were inspired by Tulum, where the spot has its original location. Guacamole with pumpkin butter and pistachios and margaritas are on offer. Gitano, 76 Varick St., New York, NY 10013, 646-454-5877. Chef-owner Nasim Alikhani is behind the restaurant Sofreh. This Prospect Heights spot features Persian home cooking, like eggplant and yogurt dip with house-made bread, lamb patties with yellow lentil and turmeric, and plum chicken with saffron and barberries. Sofreh, 75 St. Marks Ave., Brooklyn, NY 11217, 646-340-0322. Kyma is a 250-seat, airy Greek taverna serving food like a watermelon feta salad, oysters, and black sea bass cooked with lemons and capers. It’s an offshoot of a Greek restaurant in Roslyn, Long Island. Dinner nightly. Kyma, 15 W. 18th St., New York, NY 10011, 212-268-5555. Taco Electrico is a 1,600-square-foot restaurant by Union Square that has plenty of neon, swings and a DJ booth. Chef Fernando Navas' colorful tacos include cod with cabbage, radishes and epazote aïoli. Dinner nightly. Taco Electrico, 201 Park Ave. S., New York, NY 10003, 917-534-5958. 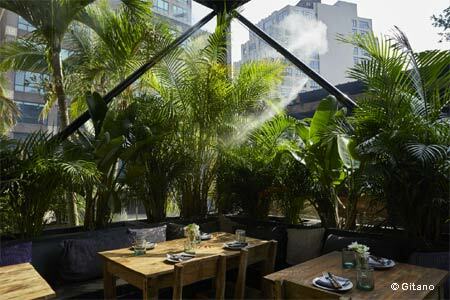 Restaurateur Einat Admony of Taim and Bar Bolonat is behind Kish-Kash, which she calls New York's first couscous bar. Her team will roll semolina by hand for her couscous, which will be served with lemon chicken tagine, slow-cooked lamb, and fish in spicy tomato sauce. Lunch & Dinner daily. Kish-Kash, 455 Hudson St., New York, NY 10014, 646-609-5298. Kevin Bradford, Kim Harris and Stacey Lee, three black entrepreneurs, opened Harlem Hops to showcase beer made by small batch and family owned breweries, many by people of color. Above the long, convivial bar, a lit up sign reads "Harlem." They also serve food like a craft-beer bratwurst on a pretzel bun with kettle chips. Open nightly. Harlem Hops, 2268 Adam Clayton Powell Jr. Blvd., New York, NY 10030, 646-998-3444. The team behind Bobo, Rosemary's and Claudette has employed chef Wade Moises to make Neapolitan pies at Rosemary's Pizza in the West Village. 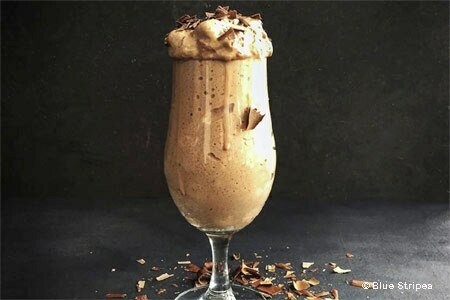 The menu includes a pizza topped with broccoli rabe, stracciatella, pine nuts and Pecorino Toscano, and for dessert, malted chocolate budino with crystallized cacao nibs from Mah-Ze-Dahr bakery. Dinner nightly. Rosemary's Pizza, 1 Perry St., New York, NY 10014, 212-647-1818. In the former Park Luncheonette space where Williamsburg meets Greenpoint, owners Zach Frankel, Taylor McEwan and chef Ashley Berman have opened Bernie's, a retro spot with red checkered tablecloths and cushy booths. The restaurant serves wedge salads topped with slabs of thick-cut bacon, baked clams, burgers and martinis. Dinner nightly. Bernie's, 332 Driggs Ave., Brooklyn, NY 11222, 347-529-6400. 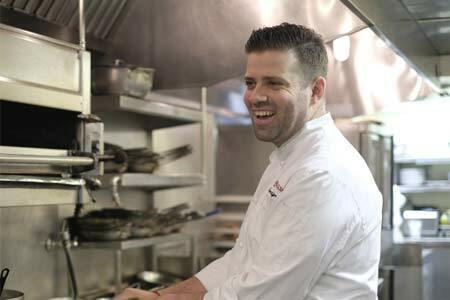 Belgian native Dieter Samijn has taken the helm as executive chef at Daniel Boulud's Bar Boulud. He previously worked with such chefs as Alain Ducasse, Peter Goossens and Bart Vandaele. Bar Boulud, 1900 Broadway, New York, NY 10023, 212-595-0303. Cherche Midi has closed. The French restaurant was named after a street restaurateur Keith McNally lived on in Paris. Cherche Midi, 282 Bowery, New York, NY 10012, no phone.